There were a few important reports on the U.S. economy released this morning. 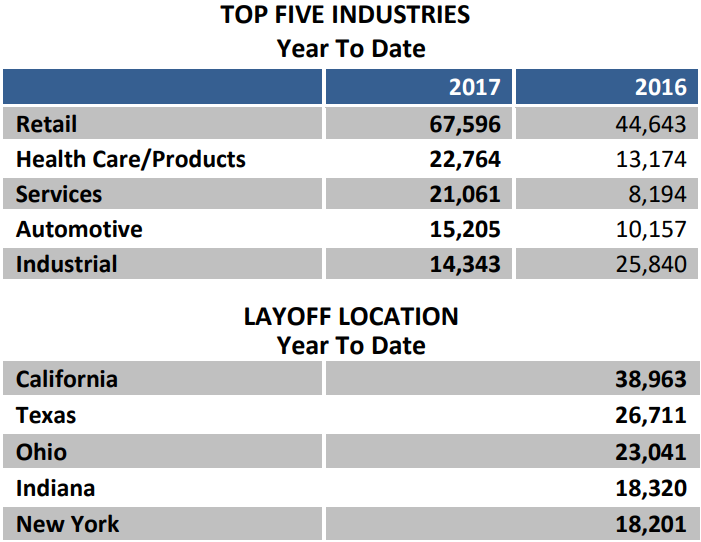 First, data from Challenger, Gray & Christmas showed that 33,825 corporate layoffs were announced in America this month. 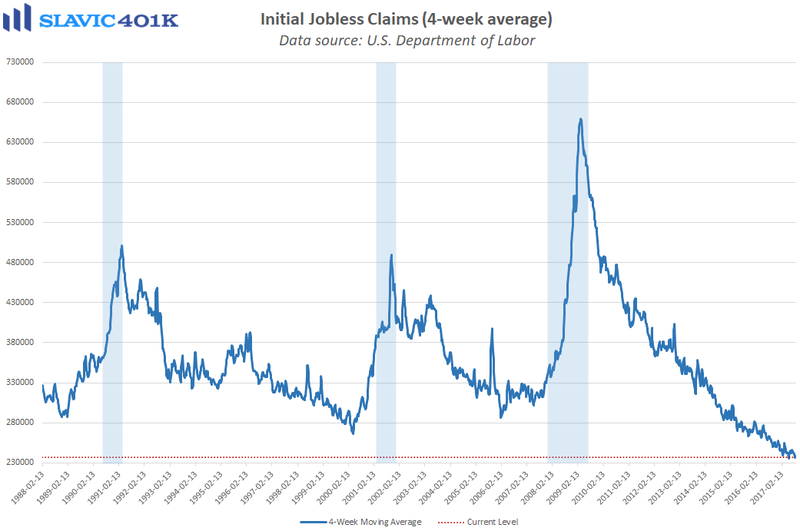 That is a 19.4 percent increase from July, the first uptick in the past five months, and 5.0 percent higher compared to this same period last year. 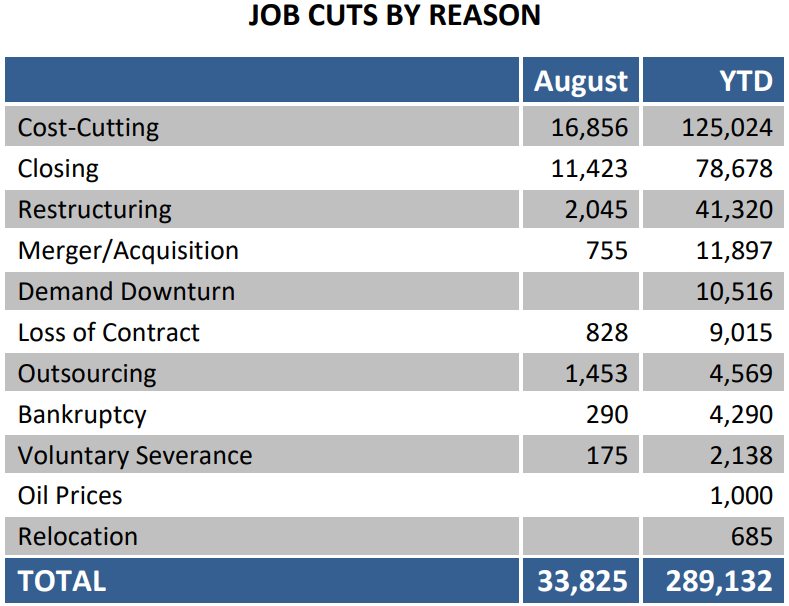 However, employers have only announced 289,132 layoffs 2017-to-date, down 26.1 percent from the first eight months of 2016. John A. Challenger, chief executive officer of Challenger, Gray & Christmas, added that “Although we have seen high layoffs in retail with store closings and some companies filing for bankruptcy, there has also been increased hiring in new areas of the sector as retailers build out their e-commerce platforms. Shipping and technology jobs are expanding and going unfilled. 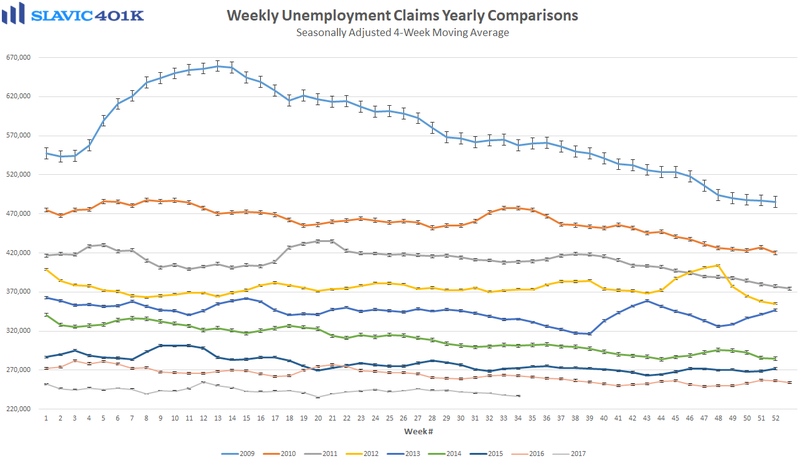 We are seeing a labor market in which skilled technical and logistics/supply chain talent is in high demand.” Relatively low layoff announcements this year have been supported by weekly jobless claims, although this particular metric will likely become quite volatile over the next month as the near-term fallout from hurricane Harvey starts to show up in the data. 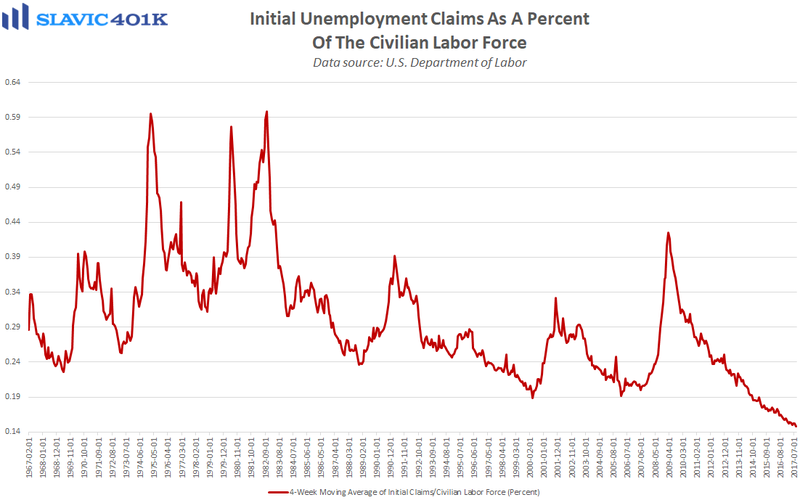 Elsewhere, a report from the U.S. Department of Commerce showed that personal income for Americans rose by 0.4 percent in July, helped by a 0.5 percent increase in wages and salaries. That was in line with expectations and the best monthly gain since February. 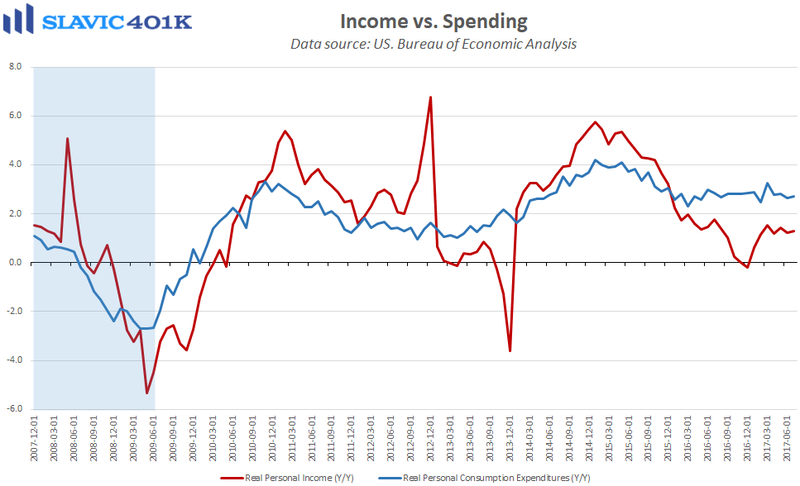 During this same period, consumer spending, which accounts for roughly two-thirds of the economy (GDP), rose by 0.3 percent. 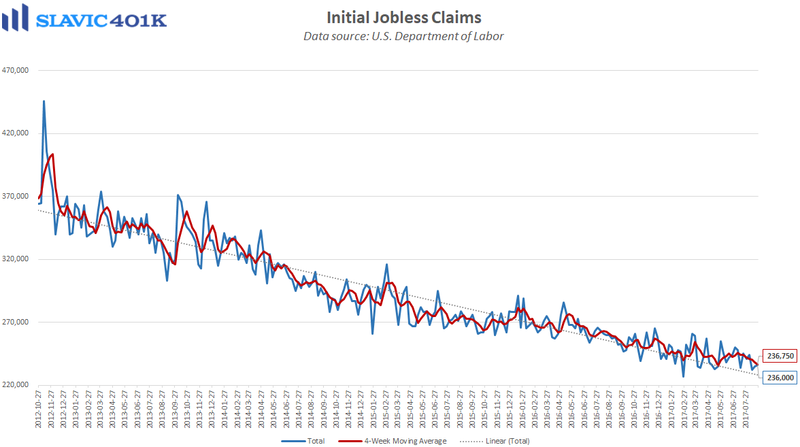 That was slightly worse than anticipated but the prior month’s figure was revised higher. Zooming out, the annual pace of growth in Americans’ incomes and outlays remains good but not great, similar to the overall economy. 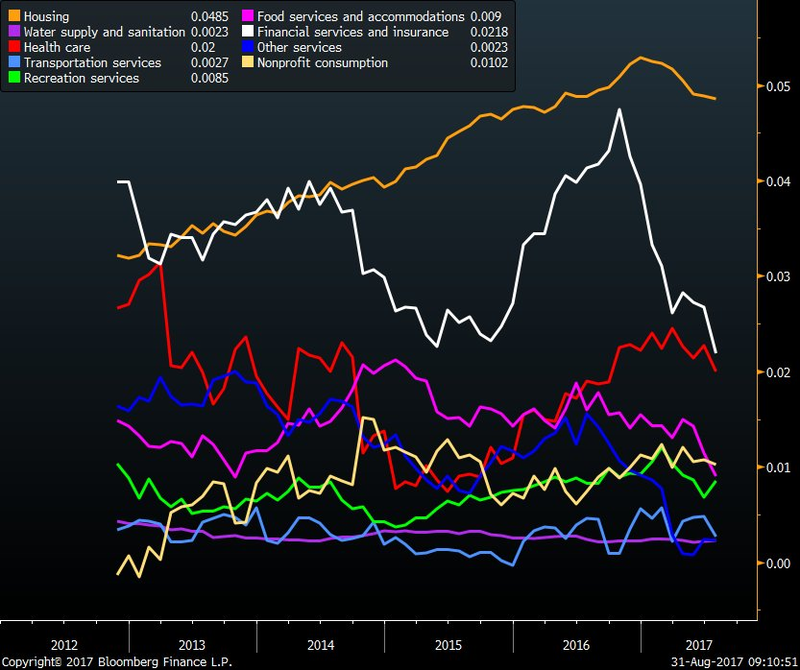 Also included in this report are the personal consumption expenditures (PCE) price indices, the Federal Reserve’s preferred measures of consumer inflation. 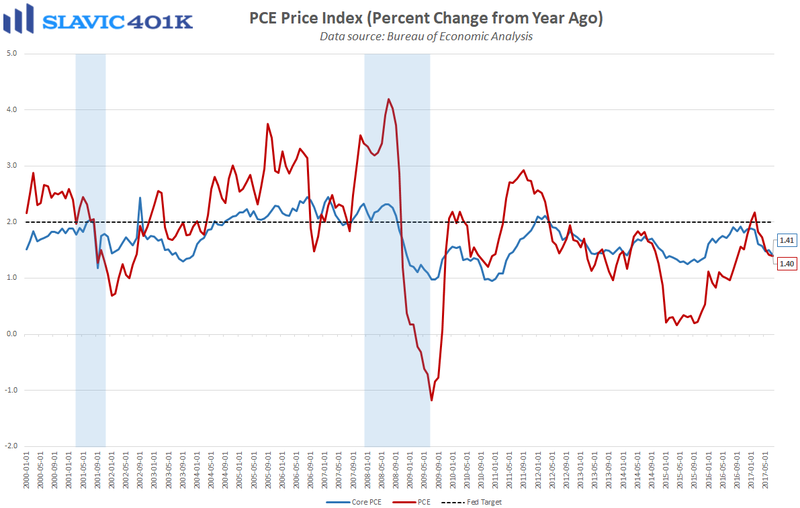 On a year-over-year basis, both headline and core PCE rose by 1.4 percent in July, the softest readings of 2017 and therefore still well below officials’ 2 percent “target.” Muted inflation pressures together with modest spending growth should make it easier for the Fed committee to continue to justify its gradual pace of interest rate normalization.